Here at Peter Warren Honda, our experienced Honda service team are dedicated to taking care of your New Honda, Used Car or Demo Hondaservicing and repair needs, so you can get back on the road in no time at all. 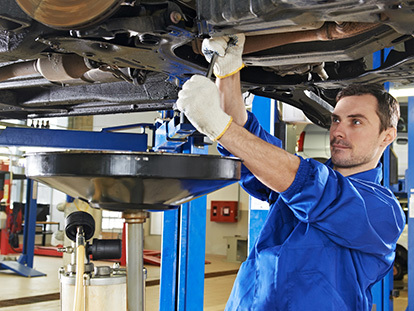 By having your vehicle serviced on a regular basis, you will not only maintain its warranties and original operating specifications, but also protect your investment. That means you can keep your vehicle on the road for longer and, when the time comes, maximise its resale value. Why service your Honda at Peter Warren Honda? Our factory-trained technicians are equipped with the very latest diagnostic equipment, specialist tools and Honda Genuine Parts, so we can service your Honda right first time, every time. The Honda Tailored Servicing program provides a service price guide for each of the scheduled services available on applicable Honda vehicles. It is available for up to five years or 100,000kms, whichever comes first after retail registration. For peace-of-mind, our Honda factory-trained technicians use ‘unique to Honda’ diagnostic equipment to accurately service your Honda for optimal reliability. Whether you’re an inner-city or off-road driver, Peter Warren Honda has a tyre to suit your needs. Well-maintained tyres provide a smoother ride and a safer drive, which is why we offer professional tyre servicing. Honda Adaptive servicing ensures the correct level of maintenance is performed on your Honda vehicle to keep it in optimum condition. For example, if you travel low kilometres, your vehicle won’t need to be serviced as regularly as it would if you travelled long distances regularly. For more information or to book your Honda service, please contact a team member from our Warwick Farm Honda dealership today.